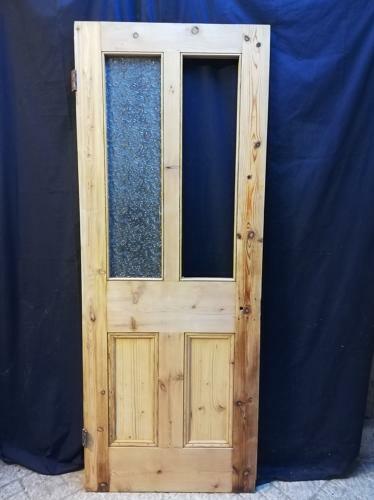 A classic, fully morticed and tenoned, Victorian door clearly designed for glazing because the upper central rail is thinner than the lower rail. The door has been stripped to bare wood. The upper panels have one original piece of textured glass which doesn't meet modern safety regulations so both glass panels need replacing. We can quote for glazing the door with clear or privacy glass as required.